We can help you create a beautiful lawn with soft leaf buffalo turf. 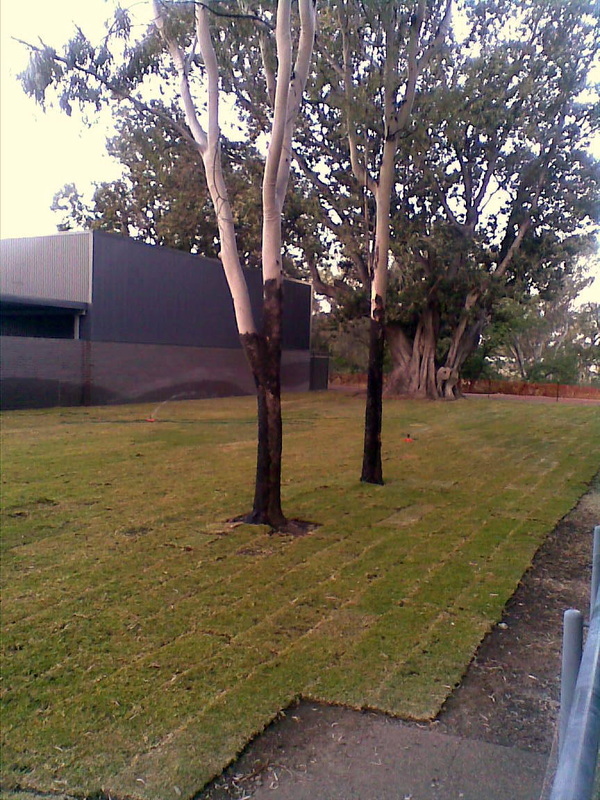 Whether you want five or 500 metres - we will supply Moree turf direct from our farm to you. Our on-board forklift will make the job easier. We will help you be the envy of your friends and family with a lush green lawn. The best way to improve the appearance and add value to your property is to landscape and turf. Back 2 Front Turf can supply quality turf or seed and instruct you in growing your own lawn. We supply to property owners, home renovators, renters, retailers and nurseries, landscape gardeners, wedding venues, commercial and trade operators, local and state government enterprises - no job is too big or small. Moree is well known for its abundant underground water, and combined with our regular mowing and maintenance program, you can be confident that you are purchasing a quality local product from Back 2 Front Turf. Your new lawn will be the envy of your friends and family. It is great environmental, social and economic choice and it will reduce the heat and glare from around your home and provide an enjoyable under-foot experience for your family and pets. Back 2 Front Turf supplies turf for the Moree Plains Shire and north-west New South Wales. Our seed sales is an Australia-wide online business and we will post/freight anywhere in the country, including Western Australia. We care about our customers as much as we do about our turf. We cut and supply turf direct off the farm or with the convenience of our on-board forklift, we can deliver turf direct to your site. We can guide you on your site preparation, fertilisers, and lawn care tips - check out our website too!